Time For Space by James Asher & Rod Pooley. 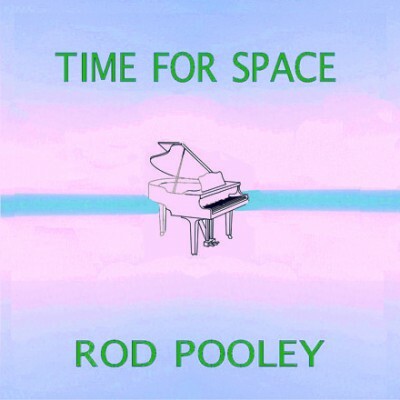 Expert pianist Rod Pooley plays 14 of his own compositions that delight with their thoughtful, lyrical and reflective quality. The listener is invited to take enjoyable time frequenting their own relaxed time and space. Starfield Music is a record label created by worldbeat recording artist and producer James Asher. The main focus of the label is world, jazz, blues and experimental instrumental music. James Asher has been lucky to collaborate with some stellar recording artists from around the world including Irish harpist Madeleine Doherty, Indian master drummer Sivamani and extraordinary vocal improviser Mahesh Vinayakram. Regular collaborations too with Arthur Hull – America‘s leading drumcircle facilitator and percussionist have further enriched the mix. Recently he has been delighted to collaborate with Simon Brewin on the album Mutable Music, a remarkable bass player and guitarist from Brighton, who also joins Indian virtuosic multi-percussionist Sandeep Raval and James for the Drum Travel project. This double album celebrates the diversity of global percussion and provides an inspiring journey based on them. It is due for release in July 2014. As an artist, Rod Pooley is a major addition to the Starfield label. After their collaboration on his Expanding the Canvas album, they went on to produce Keystar House together. Then followin their co-production of several successful soundtrack albums, they came to record Time for Space. They enjoy a diversity of music in many different genres, and see humour and fun as the keys to an imaginative and productive joint output. The breadth of Rod‘s musical experience and his keyboard dexterity and flair make him a rare and remarkable artist. Credits : Recorded at Starfield Studios, Eastbourne, Sussex – May 2014. Written and performed by Rod Pooley www.rodpooley.com Produced and mastered by James Asher.